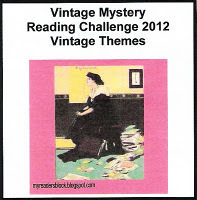 I participated on the Vintage Mystery Challenge 2012 hosted by the wonderful Bev Hankins of My Readers Block. Deadly Decades: 8 books, one from each time period plus one of your choice (Pre-1900s; 1900-09; 1910-19; 1920-1929; 1930-1939; 1940-1949; 1950-59). Golden Age Girls: 8 books by female authors OR 8 books with female detectives. And drumroll, please! I completed the challenge last month! It took me on an average two books per month. I could have done it faster but I didn’t want to. I wanted to savour it as much as possible. But here we are at the end of the road. 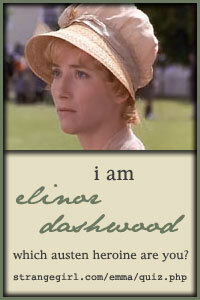 Golden Age Girls: 8 books by female authors. 1. The After House. Mary Roberts Rinehart. 2. The Lodger. Marie Adelaide Belloc. 3. A Pocket Full of Rye. Agatha Christie. 4. The Old Man in the Corner. Baroness Orczy. 5. The Moving Finger. Agatha Christie. 6. Evil Under the Sun. Agatha Christie. 7. Death And The Dancing Footman. Ngaio Marsh. 8. The Beckoning Lady. Margery Allingham. At the edge of the estate of The Beckoning Lady there lies a dead man. The timing couldn’t be worse as it is just before Minnie and Tonker Cassand’s big party. It’s a good thing that Albert Campion is a friend of the Cassands. Campion investigates while the preparations for the party of the year go on in full swing. The Beckoning Lady by Margery Allingham was published in 1955. In the US the book was published under the title The Estate of the Beckoning Lady. Starting smack in the middle of a series is never a good idea. The Beckoning Lady is the fifteenth novel in Allingham’s Albert Campion series. I know I am probably missing a lot of the background information. Besides I am not used to Allingham’s style of story telling. But I always read what I can find. When I found this book I decided to read it first of all because it fit in perfectly with my 2012 Vintage Mystery Challenge’s Golden Age Girls category. Secondly, the book synopsis intrigued me. Margery Allingham’s writing style doesn’t suit me well. I found her writing kind of confusing. It was as if I were in a dream, where the people were speaking in a language I knew and yet I couldn’t understand them. The plot felt thin and at the same time bewildering. All the details about tax, property, ominous little men, dead elderly relatives, sending signals through flower bouquets; etc, etc left me feeling bored and puzzled. I didn’t enjoy the relationship between Minnie and Tonker Cassand. They fight a lot and their fights left me feeling irritated. Tonker is responsible for a lot of the trouble in Minnie’s life and to top it all off he beats her on more than one occasion. Now maybe beating your wife was okay back in the 50’s but I am still not okay with it. The preparation for Tonker and Minnie’s extravagant party takes up most of the narrative, the details of which left me exhausted. Why must the party go on despite multiple deaths is beyond me. The actual crime, criminal and the motive behind it left me feeling unsatisfied. After spending so many dreary days reading a rather disjointed narrative with characters I didn’t really care about the solution seemed inadequate. The book’s conclusion is odd. People casually forging evidence and letting things slide is just a bit too much. Overall, I didn’t enjoy my first Margery Allingham. The narrative was disjointed and the solution unsatisfactory. 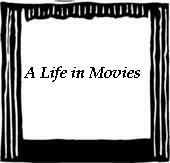 I don’t feel to eager to continue with the adventures of Albert Campion. Today’s teaser is from my recently finished read, The Beckoning Lady by Margery Allingham. Review coming soon! “ ‘Uncle William went to sleep,’ he said distinctly. He was the first child she had known well, and Amanda was taken aback. She turned right round to him, which was the reaction he had in mind. I am currently reading the last book of my Vintage Mystery Challenge 2012, The Beckoning Lady by Margery Allingham. I am not really enjoying it so far. It feels heavy and kind of boring. Not good signs for a mystery. I will reserve my judgement until the end but I don’t think I’ll be recommending this book to anyone.